The reaction forces are equal and opposite to the sum of the applied loads. Unless they are right, the results cannot be trusted. 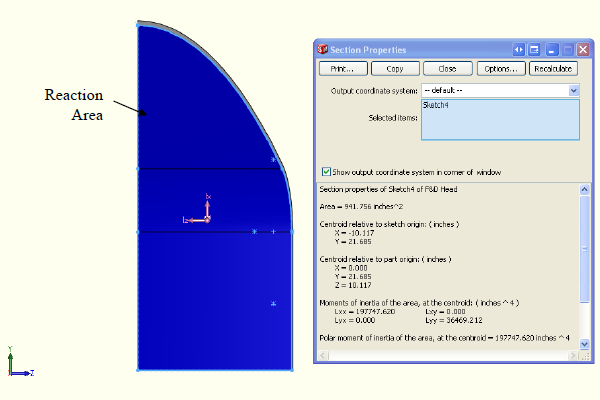 This report shows typical methods used for restraining models and compares the resulting displacement and stresses of identical models both in balance and out of balance for two different FEA models. 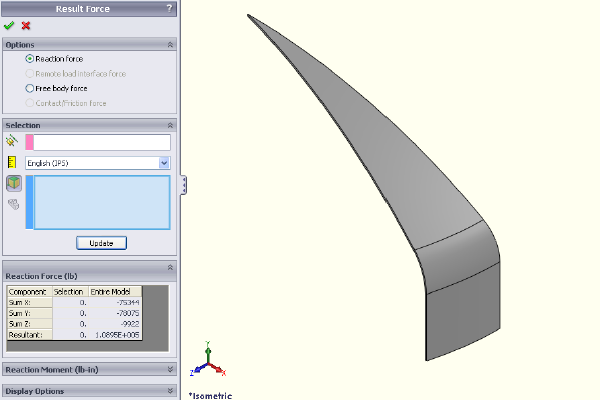 A 15 degree sweep of a F&D head is used in this example to demonstrate the method used for checking that a model is static or in balance. 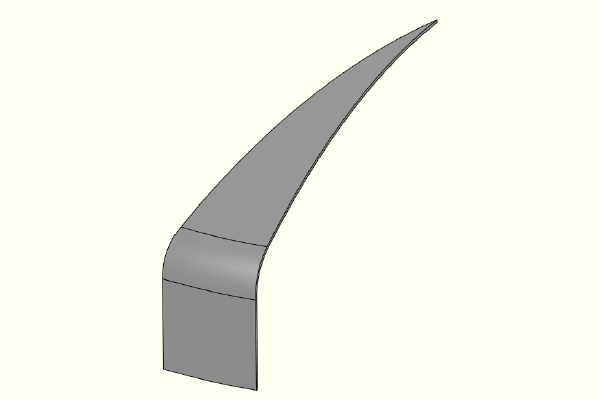 The head is restrained using symmetry on all cut plane surfaces. 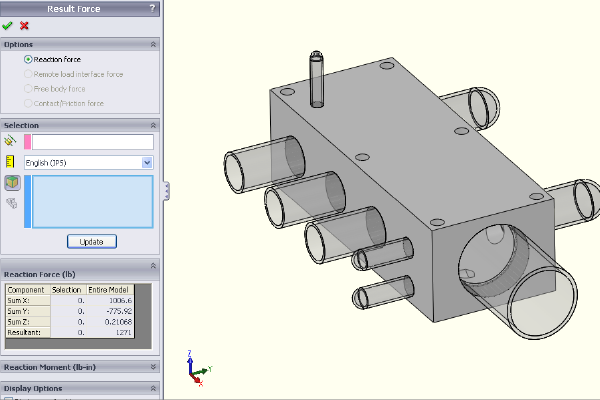 These restraints allow the model to be held in model space while still being able to deform due to applied loads. The restraints must be applied in each of the three primary directions to avoid rigid body motion. An 80 psi pressure is applied normal to all internal surfaces. The reaction resultant is calculated for each primary direction. The X component of the reaction resultant can be found by looking at the model along the x-axis or normal to the YZ plane. 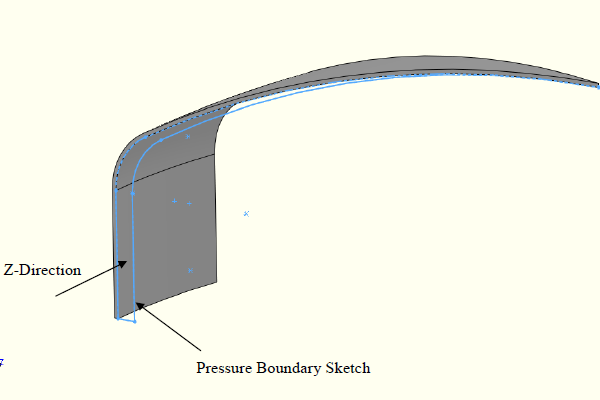 The pressure boundary sketch outlines the area of applied pressure. 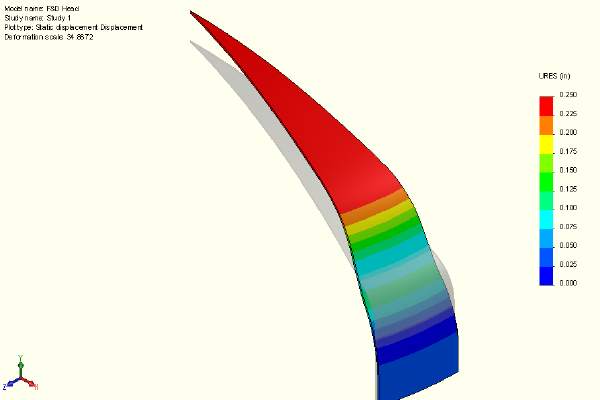 The Y component of the reaction resultant can be found by looking at the model along the y-axis or normal to the XZ plane. The Z component of the reaction resultant can be found by looking at the model along the z-axis or normal to the XY plane. 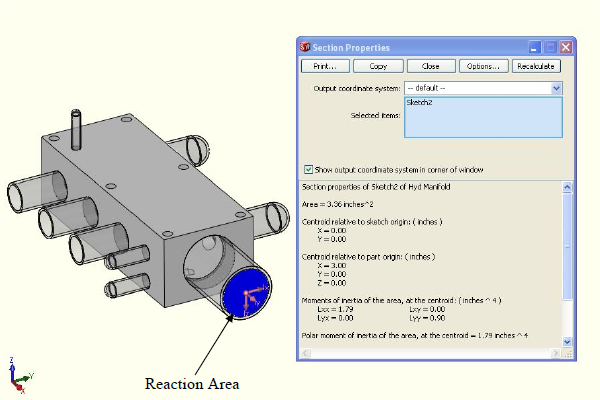 The reaction components can be reported from SolidWorks Simulation and measured against the theoretical values. From the error calculation we can see that the actual results fall within 2% of the theoretical results. 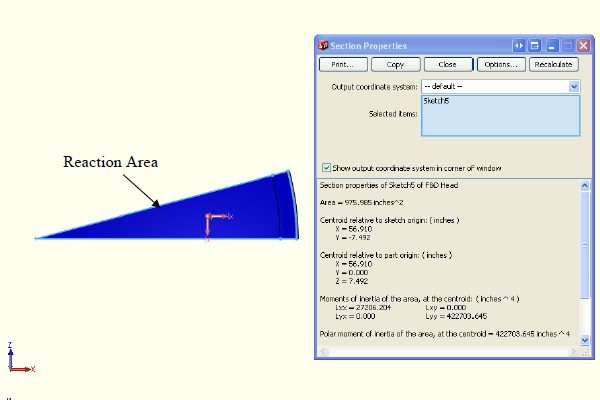 This criteria determines if a model is acceptable for analysis of stresses and displacements. 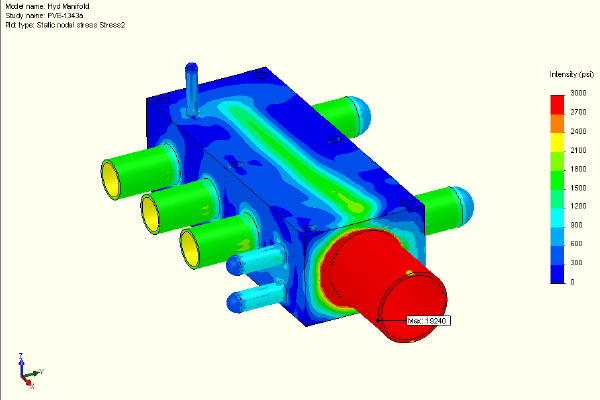 The model is in balance and the stresses and displacements can be analyzed to prove the acceptability of the design. 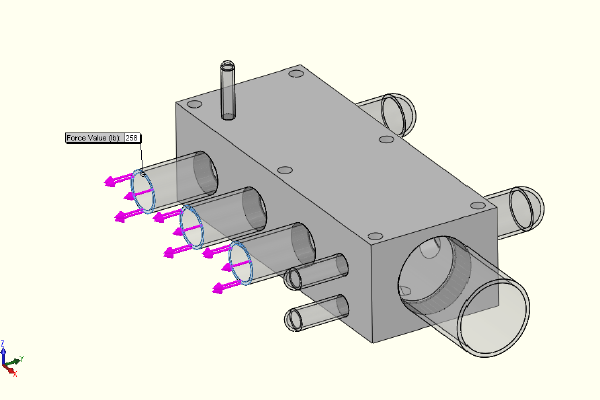 The above view shows the displacement of the F&D head. This displacement is typical for F&D heads. The above view shows the stress in the head. 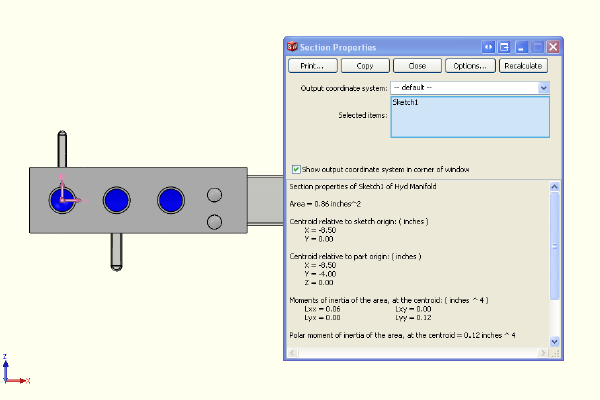 The head stresses are radial which indicates the model is reacting correctly to the applied pressure. 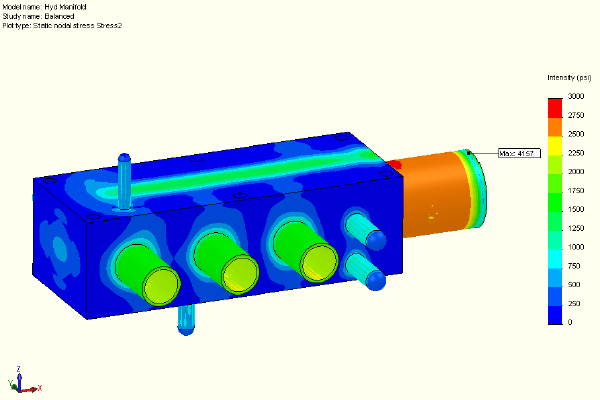 The hydraulic manifold block used in this example demonstrates how an out of balance model affects model displacement and stress results. 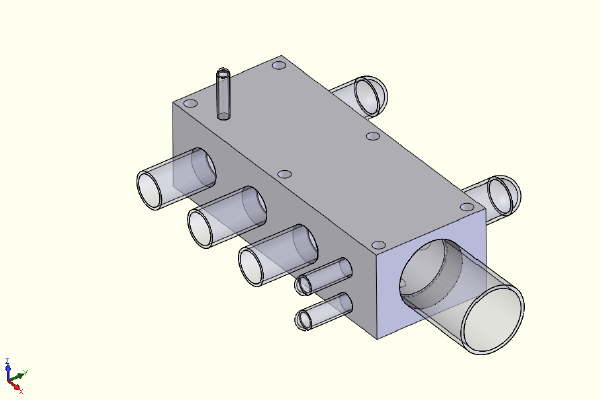 Pipes and pipe caps have been added to this manifold block to simulate loads applied at the port locations. 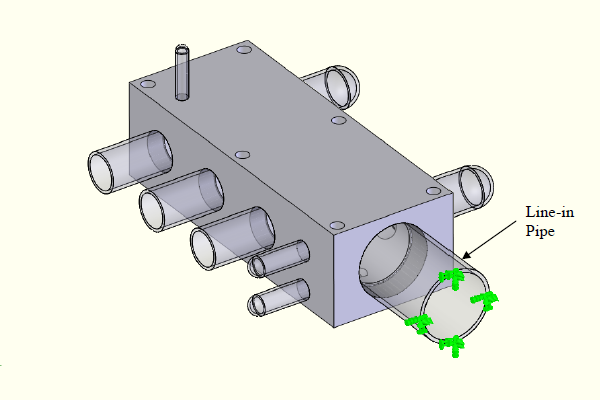 A fixed restraint is placed on the end face of the in-line pipe. 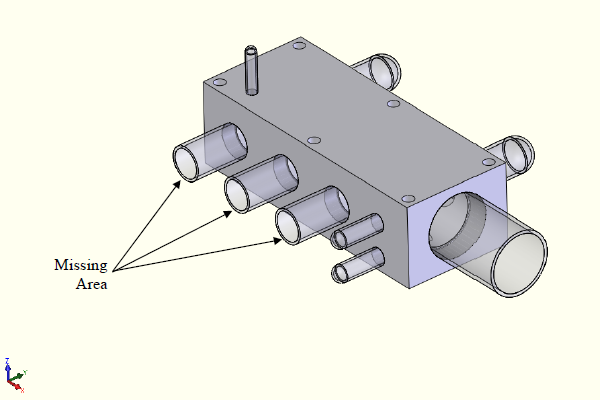 Applying this restraint to the pipe end allows the hydraulic manifold block to deform without any undue restraints. All internal cavity surfaces are pressurized to 300 psi. In this example the model is not sectioned using symmetry or other means. 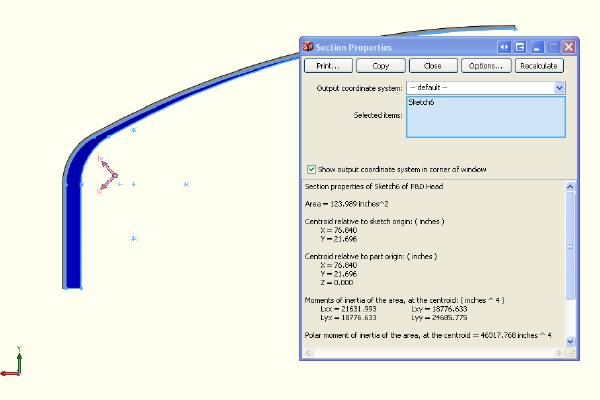 This requires the model to be closely examined for missing areas. Missing areas will unbalance the internal forces due to the pressure. Without observing the reaction forces it is evident that the deformation is not as expected. The entire block begins to rotate about its fixed restraint. The missing area on the left side of the model results in greater forces (due to pressure) in the positive y direction than the negative y. 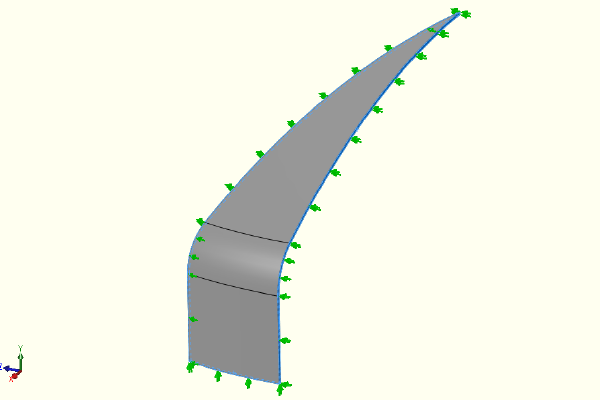 Large stresses are generated in the line-in pipe due to the resulting moment shown in the previous figure. 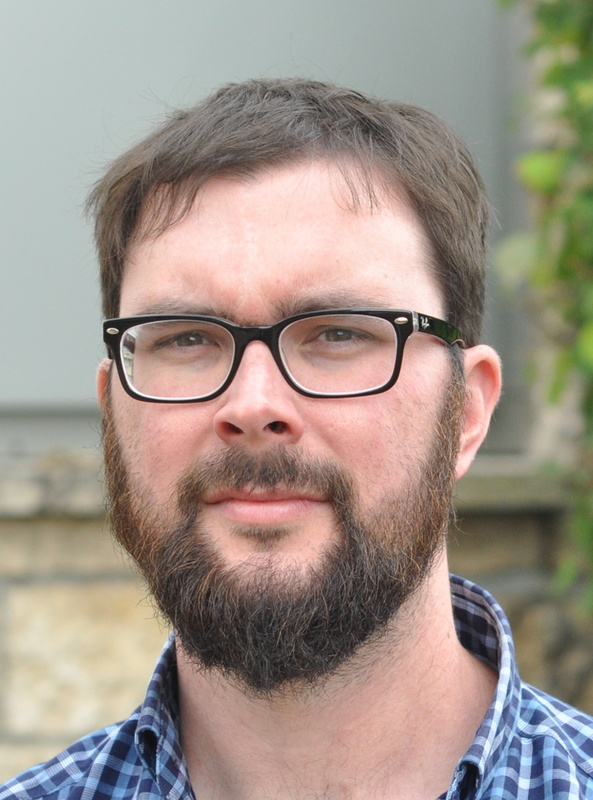 These results indicate that the model is out of balance. 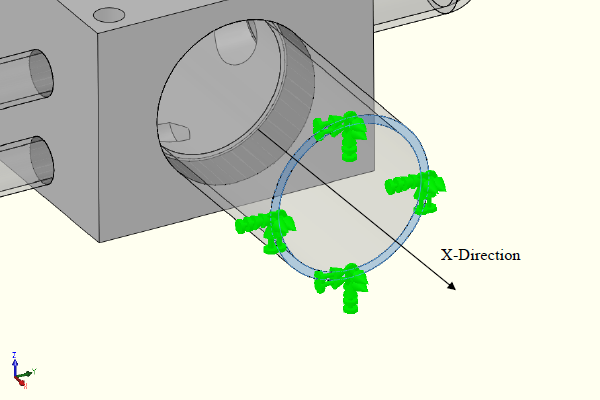 The reported reactions forces from SolidWorks Simulation for this example are non-zero value in the Y directions. 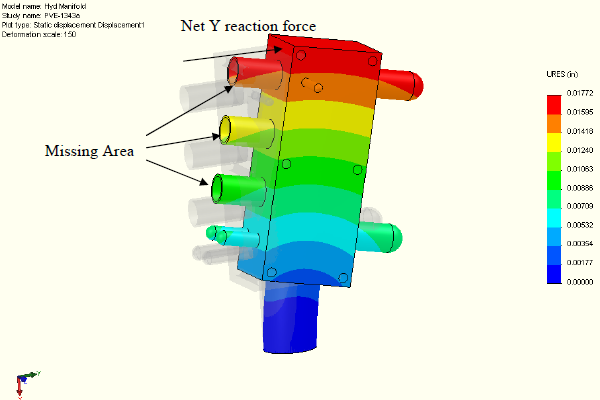 The model is not balanced and the displacement and stress results are not valid. 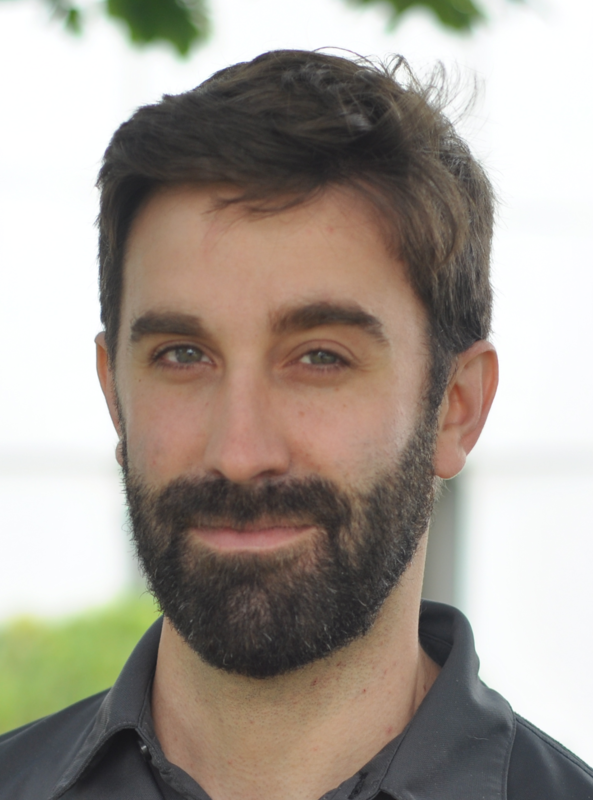 Three different methods of checking the model balance (unexpected displacement, unexpected stress and out of balance reactions) have all indicated the same thing: this model can not be used as is. The reaction forces unaccounted for are generated by unbalanced internal areas. 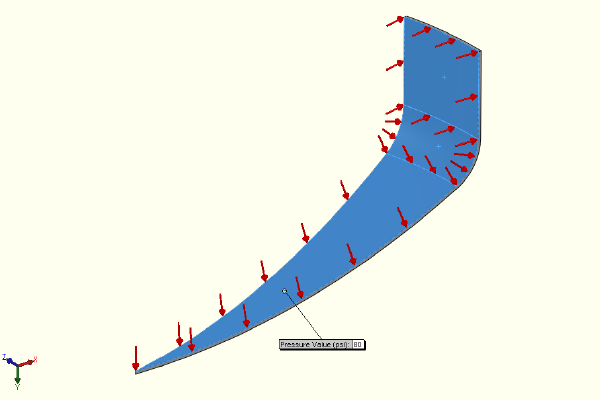 The area on the right of the model is greater than that of the left. When forces are calculated by multiplying these areas by the internal pressure it is evident that the net reaction force will not be zero. The reaction force in the y-direction is equal to the sum of all 3 areas multiplied by the internal pressure. 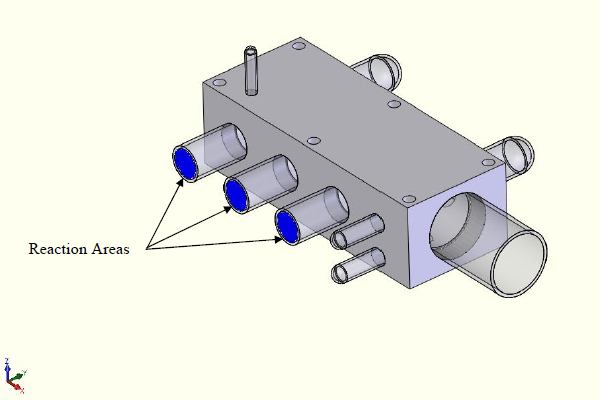 The unbalanced force due to the missing area of each port can be calculated by multiplying the area by the internal pressure. Often the magnitude of the reaction force can be used to determine what is causing the imbalance. A force is added to each port to balance the model in the y-direction. 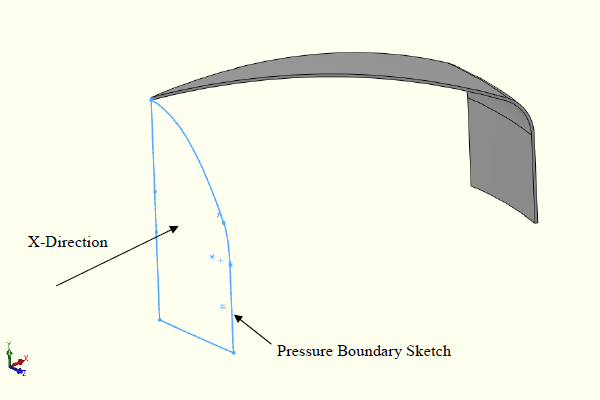 These forces account for the missing areas of applied pressure and place the model in balance. 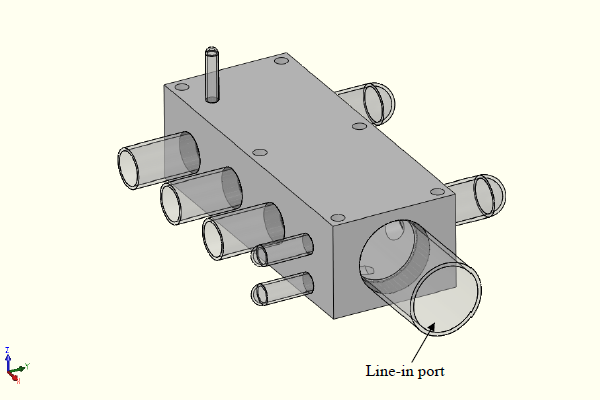 The x-direction of the model has a reaction force due to the uncapped line-in port of the manifold. The reaction areas in the x-direction are unbalanced due to the void at the line-in port. The model is not in balance in the x-direction. 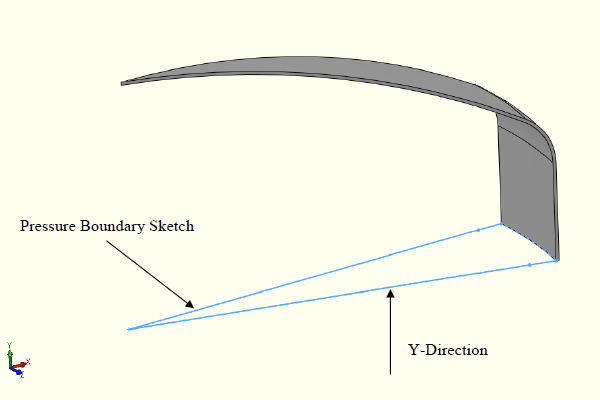 The restraint needs to provide a force to prevent motion in the x-direction. The restraint provided an equal and opposite force to the pressure multiplied by the line-in area. 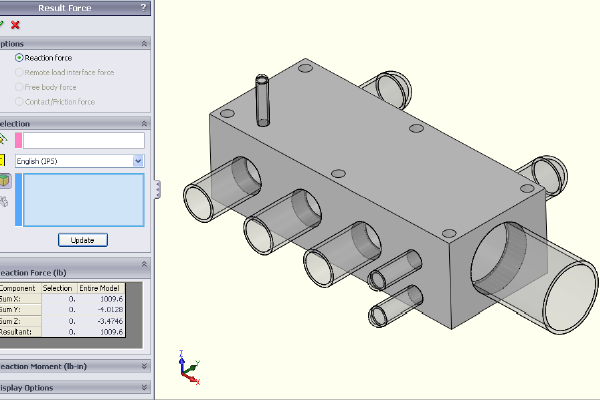 The final reaction components can be reported from SolidWorks Simulation and measured against the theoretical values. From the error calculation we can see that the actual results fall within 2% of the theoretical results. 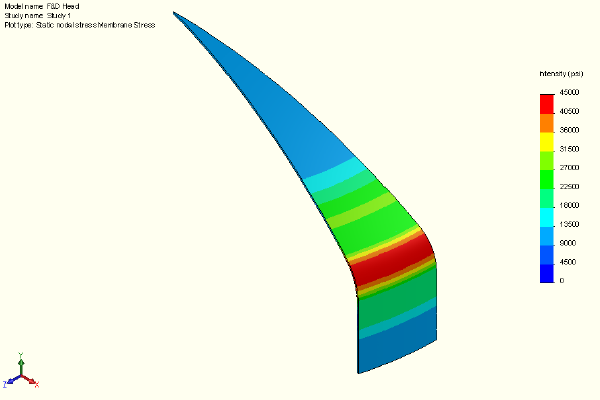 This model is in balance and can be used to calculate displacements and stresses. The displacement is as expected with the model in balance. 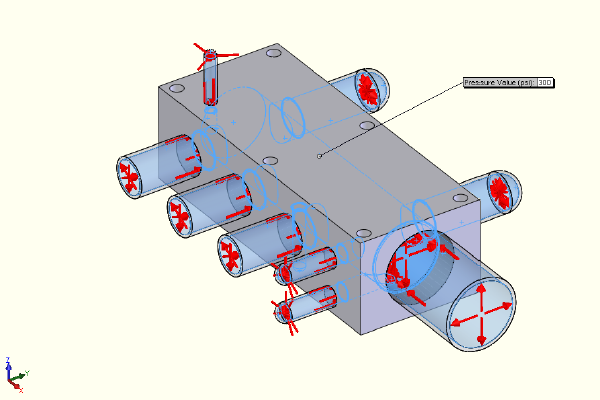 The model displaces outward and elongates axially due to the internal pressure. This expected displacement is much less than the previously reported out of balance displacement. Stresses are no longer exaggerated at the line-in pipe. 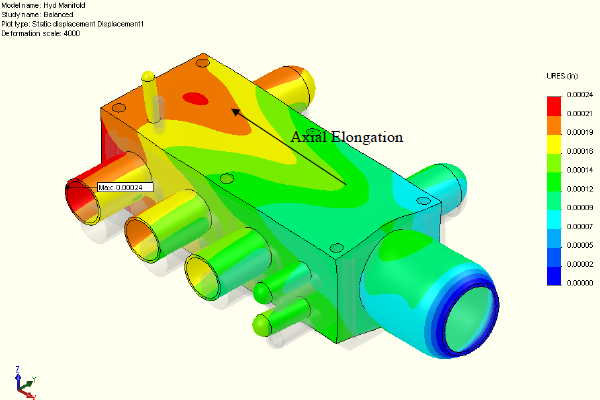 The balanced model provides realistic displacements and valid stress results that can be analyzed against material allowables. Checking the model balance is an important step for verifying that all loads are acting upon restraints correctly. 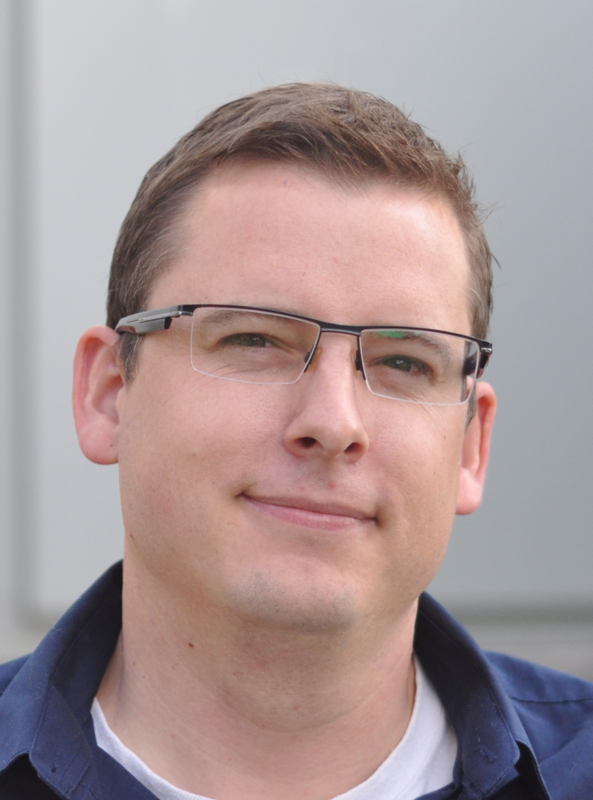 An out of balanced model provides invalid results that cannot be used.